I am making a conscious effort to increase the number of cakes I make that cater for those with allergies. Several of my children’s friends have dairy free or egg free diets, and even more of mine can’t tolerate gluten. My repetoire is currently limited, but I am working on it! One of the most used baking books in our house is one called ‘Muffins Fast and Fantastic’. At less than £5 a copy on Amazon it is an absoloute bargain, as thus far all of the recipes I have tried have turned out brilliantly. It is also a great book for baking with kids. 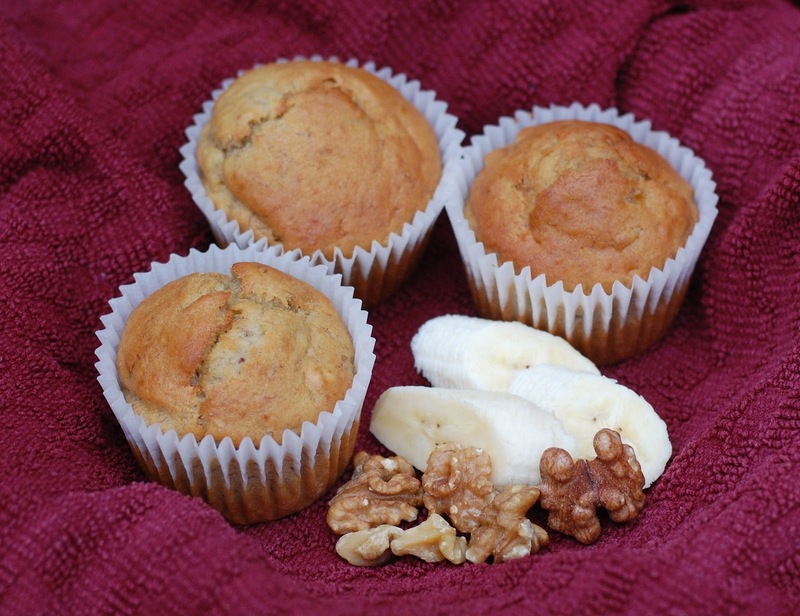 There all kinds of flavours that the kids will warm to, and the recipes are all simple. It works particularly well when baking with two little helpers, as one can prepare the bowl full of dry ingredients and one can take care of the wet stuff. There is the potential for arguing when the two are combined, but careful management (and the threat of not getting to eat a muffin) should take care of that. 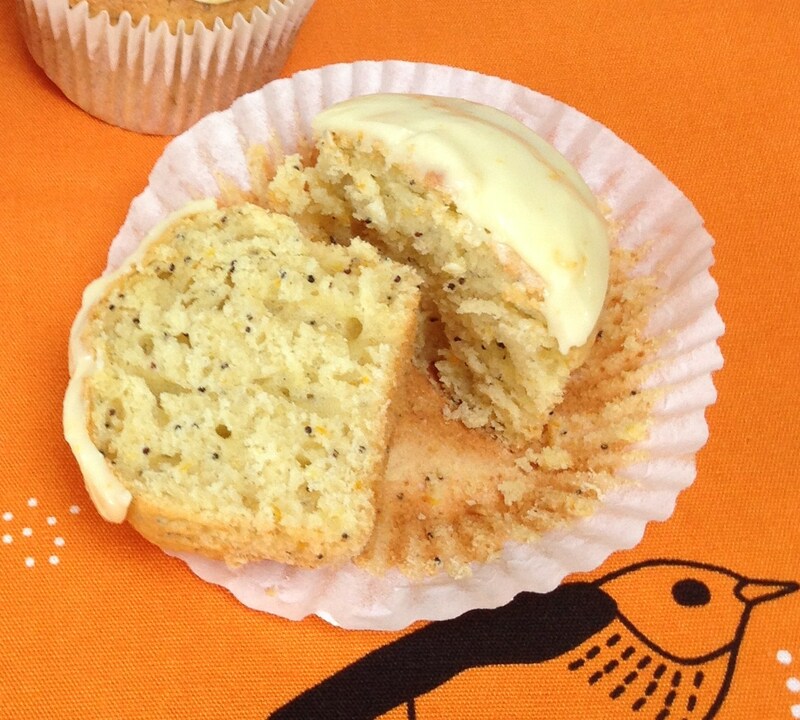 Our two favourite recipes to date are the orange and poppyseed, and the banana and walnut. The latter is perfect for using up those brown bananas that always linger in the fruit bowl and for those that do eat eat dairy, chocolate chunks can take the place of walnuts if preferred. Both of these recipes can easily be made as dairy free, as the recipe gives the option to use either melted butter or vegetable oil, and either milk or water. I have always opted for milk in the past but tried the banana recipe with water today and really couldn’t notice the difference. The only drawback as far as I’m concerned is that the banana muffins really need to be eaten the same day, although they can also be frozen. The orange muffins seem to have a longer shelf life though, and are my favourite anyway. 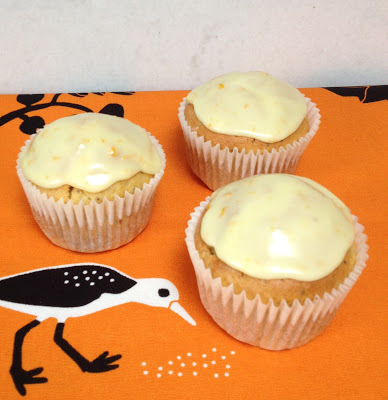 The orange icing on top really finishes them off nicely. We still have lots of recipes to try, and I think that the ginger or the peach and almond may be next on the list.